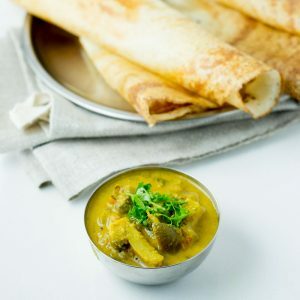 Mushroom kuzhambu / kulambu for idli and dosa. 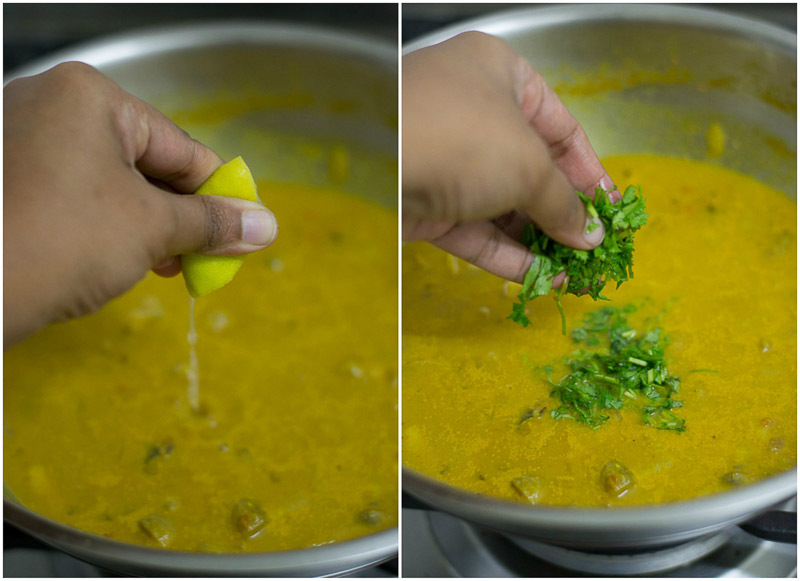 Easy Tamilnadu style Kaalan kuzhambu recipe to be served with idli and dosa. With step by step pictures. 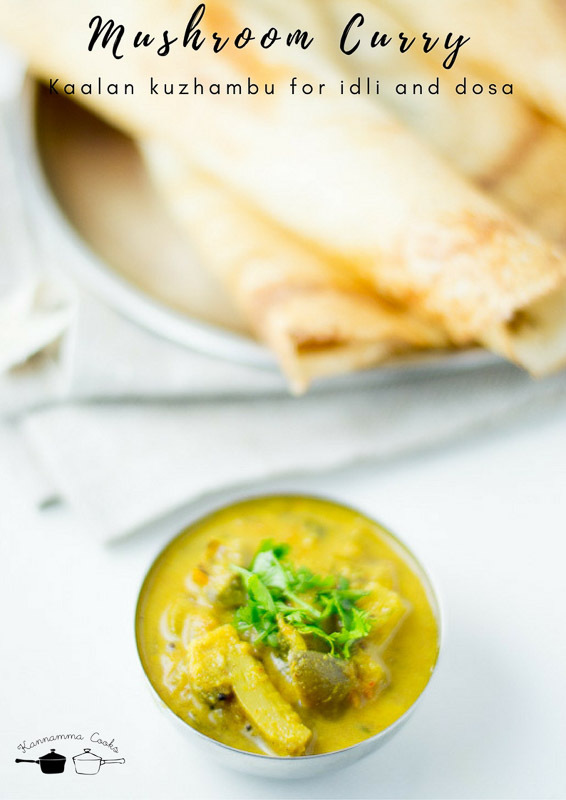 This mushroom kuzhambu is a favorite for idli and dosa and the ground coconut masala makes it rich and perfect. 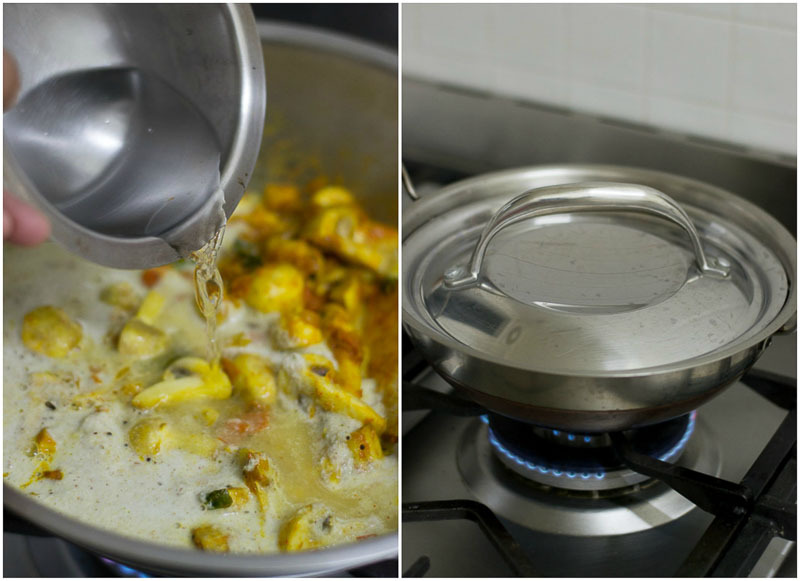 The aroma that fills the kitchen in the morning when you make this kurma is just fantastic. Here is how to do it. First we will make a masala paste. 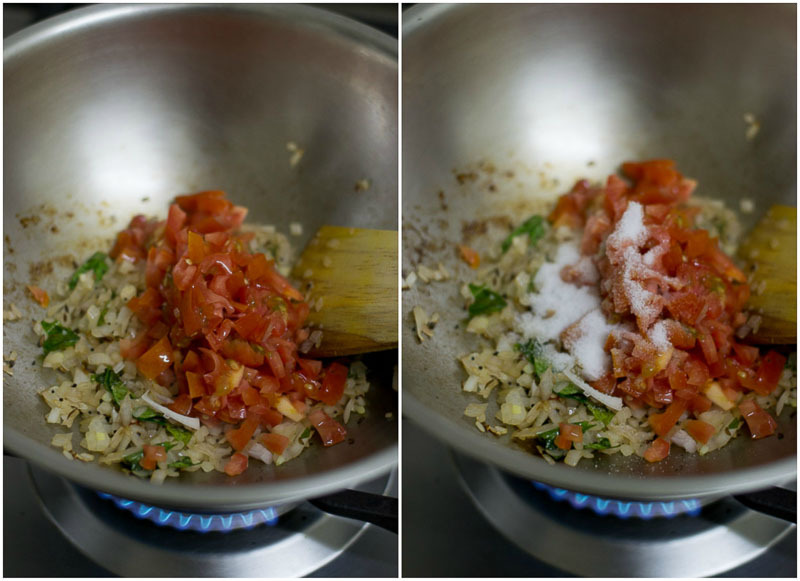 Add in all the masala ingredients to a small mixie jar and grind it to a smooth paste adding half a cup of water. Grind to a fine paste. Set aside. 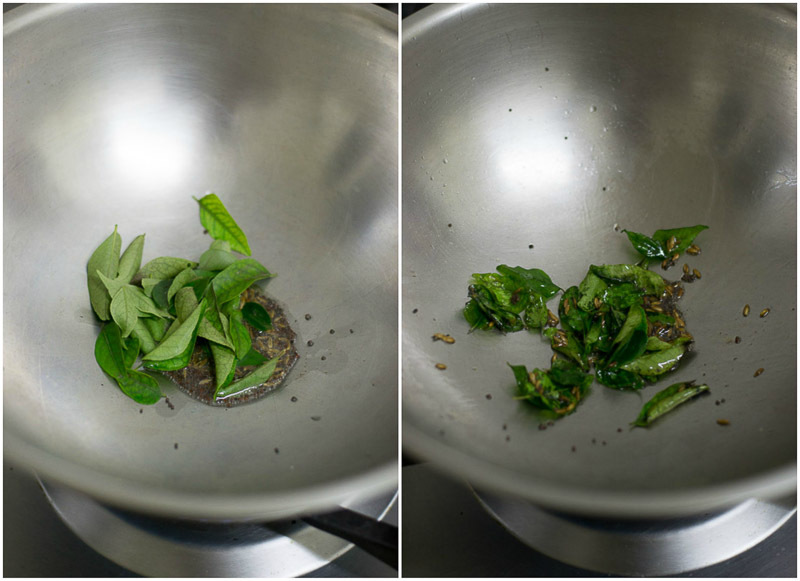 Heat a teaspoon of oil in a pan and add in the mustard seeds, cumin seeds and curry leaves. Let the mustard seeds splutter. Add in the chopped onions and saute till the onions are soft. Add in the chopped tomatoes and salt. 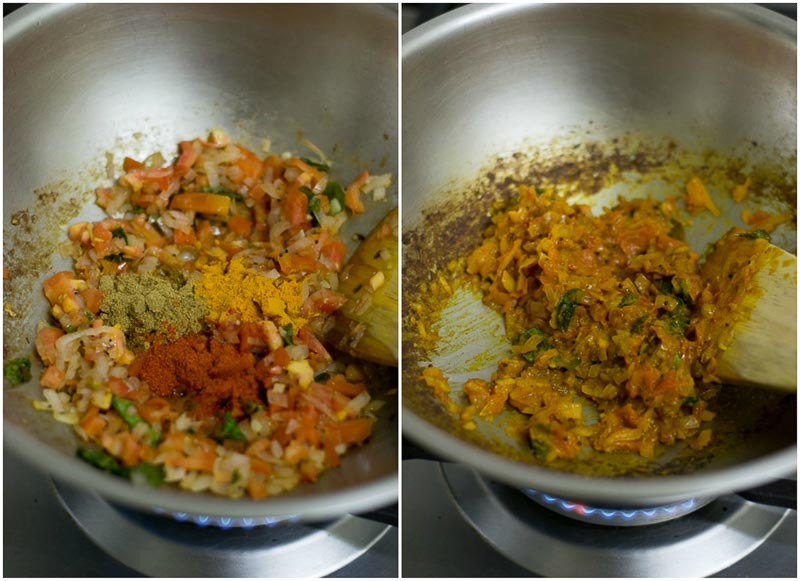 Add in half a teaspoon each of coriander powder, turmeric powder and red chilli powder. Fry till the tomatoes are soft. Add in the chopped mushrooms and the ground paste. Add in about two cups of water and let it simmer for 15 minutes on a medium flame. 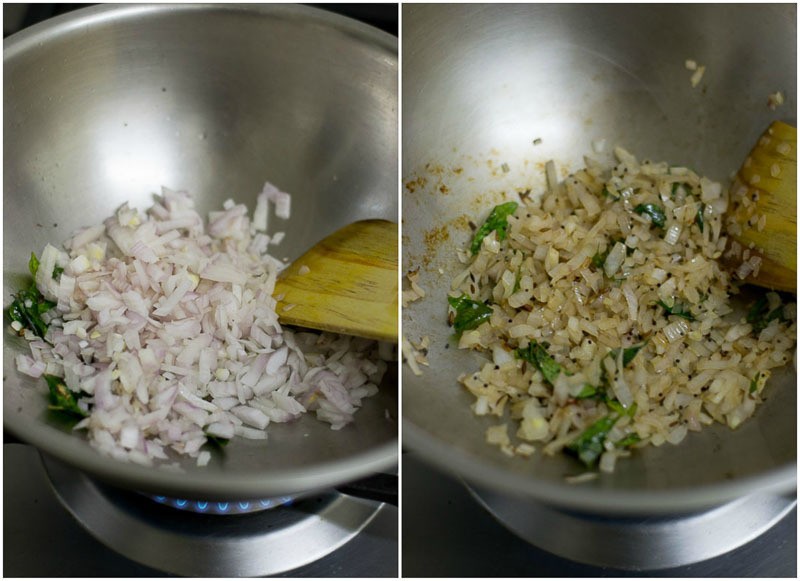 Switch off the flame and add in the lime/lemon juice and coriander leaves. 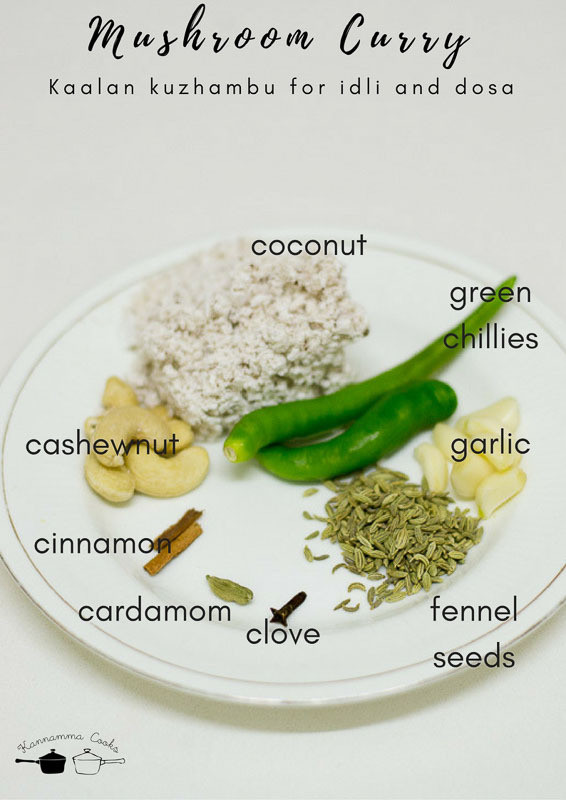 Serve hot with idli or dosa. 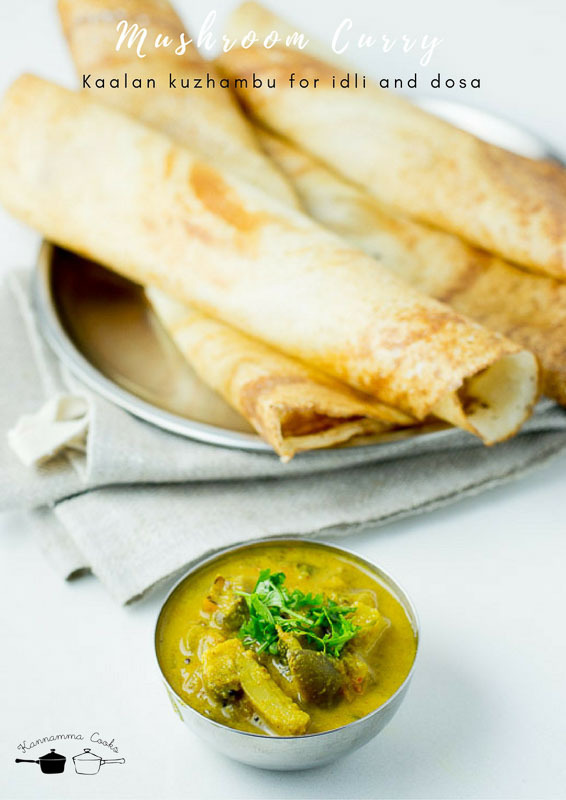 Click here for collection of idli / dosa recipes. 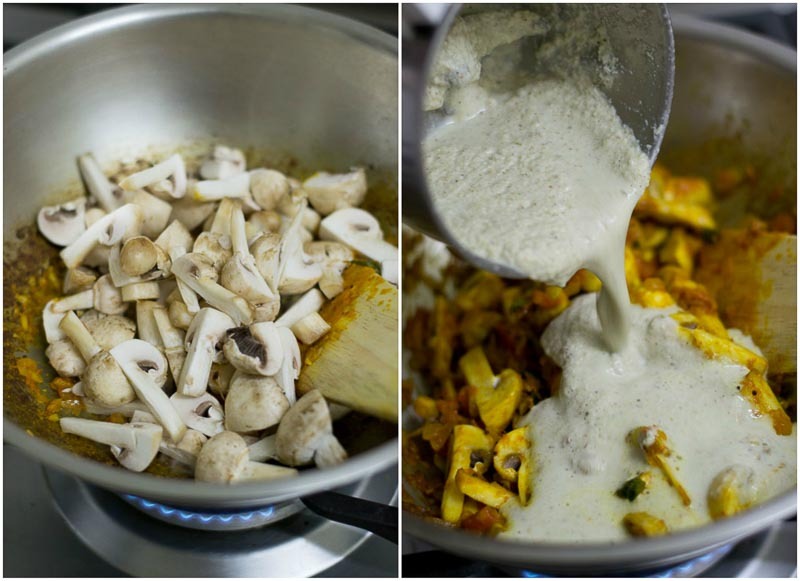 Mushroom kuzhambu / kulambu for idli and dosa. 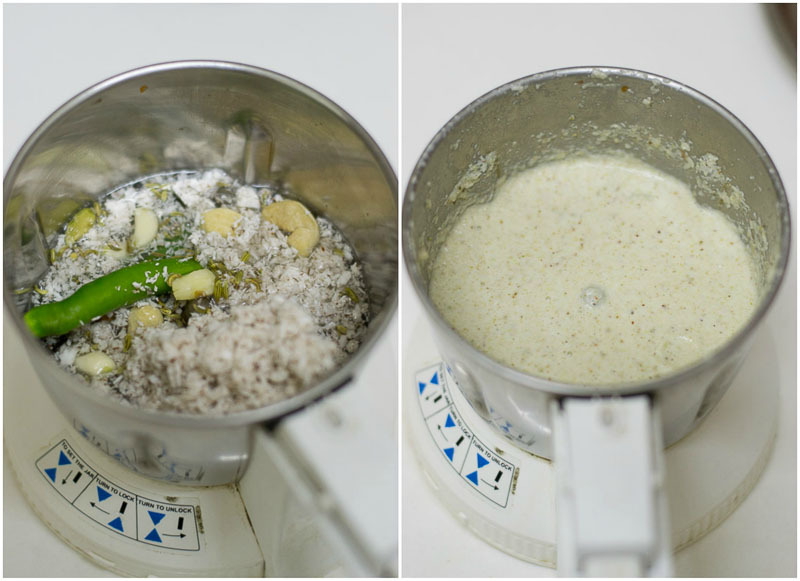 Easy Tamilnadu style Kaalan kuzhambu recipe to be served with idli and dosa. Add in the tomatoes and salt. Hello Suguna..this i Madhu. I have tried many of your recipes and everytime it tastes soooo great.Thank you kannama.please keep doing this great work. Two thumbs up!! Love all your recipes. Thank you from the bottom of my heart. This is Vidya from California.I have been following your facebook posts regularly, love reading your little stories before the recipe.Prepared many dishes copy catting your recipes:),they always turn out awesome.I am a big fan of your blog now.